Ships of the First Training Squadron (1TS) INS Tarangini, INS Sujata, INS Shardul and ICGS Sarathi entered Port Victoria, Seychelles on April 6, 2019. While Tarangini had sailed from Kochi, the other three ships had arrived from Port Beira, Mozambique after undertaking a Humanitarian Assistance and Disaster Relief mission Op Sahayata in the wake of the devastating Cyclone Idai which hit that country. The visiting ships were accorded a warm reception and were received alongside by Cdr Varun Panicker, Naval Attaché (NA) along with his staff. The IN band embarked onboard Sujata played popular tunes as the ships entered harbour. Shortly after arrival, an administrative briefing on various activities scheduled during the ship stay at harbour was conducted by the NA onboard Sujata. On April 7, 2019, yoga was conducted onboard the 1TS Ships which was attended by the High Commission Staff. This was followed by a trek along the Morne Blanc Trail and Trois Feres Trail led by the officer Sea Trainees. The ships were kept 'Open for Visitors,' amongst whom were Deck Cadets from the Seychelles Maritime Academy. 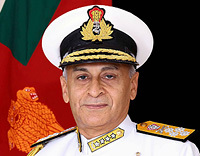 On April 8, 2019, Capt Varun Singh, the Senior Officer 1TS, along with other Commanding Officers called on H.E Mr. Barry Faure, Ambassador and Secretary of State for Foreign Affairs, H.E Dr. Ausaf Sayeed, High Commissioner of India, Colonel Clifford Roseline, Chief of Defence Forces, SPDF and Colonel Simon Dine, Commander, Seychelles Coast Guard. During each call on, the efforts by the Indian Navy ships in carrying out HADR operations at Mozambique were highly appreciated by all the dignitaries. In addition, the Sea Trainees made visits to the Botanical Garden, Seychelles Maritime Academy and the Seychelles Coast Guard Base. Sailors from the Seychelles Coast Guard base also visited INS Shardul for training on fire fighting and damage control. On the evening of April 8, 2019, a Reception was hosted on board INS Sujata and ICGS Sarathi. Dr. Ausaf Sayeed, Ambassador Barry Faure, Col Clifford Roseline, as well as Mr. Makoto Tominaga, Ambassador of Japan, British High Commissioner Mr. Caron Rousles and the Leader of the Opposition were amongst the dignitaries who attended the event. 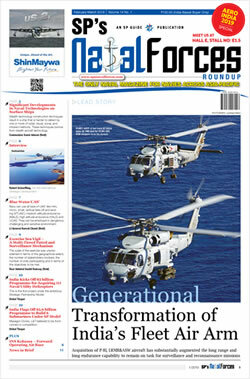 In addition, five Officers including the Force Commander EUNAVFOR RAdm Ricardo A Hernandez Lopez, Capt Massimiliano, Italian Navy and Chief of Staff, EUNAVFOR, embarked onboard Spanish Navy Navarra, as well as the Commanding Officer and Executive Officer of the Spanish ship also attended the reception. A welcome address was given at the reception by Capt Varun Singh, which was followed by a speech by Ambassador, Barry Faure, during which he spoke about the close bilateral relations between India and Seychelles. 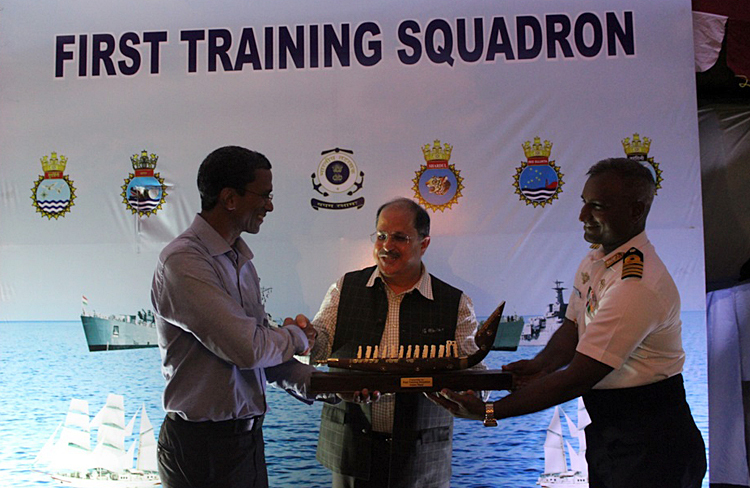 He also expressed his appreciation for the Indian Govt having gifted second Dornier to Seychelles in 2018. A gift was also presented to the Guest of Honour by HCI and 1TS respectively. This was followed by a scintillating performance by the naval band and cultural music/dance performance by the Sea Trainees. Approximately 120 guests attended the reception. On the evening of April 9, 2019, a 10 min dance programme was performed by the Seychelles Dance Academy at the International Convention Centre of Seychelles as part of the ICCR Foundation Day Program. This was followed by a one hour musical performance by the naval band. The First Training Squadraon is currently on the last leg of its Overseas Deployment, known as Sambandh 05/18-19 and are scheduled to depart on April 10, 2019 for Kochi. During the deployment, the ships had first visited Port Louis, Mauritius before being diverted to undertake relief operations at the Cyclone Idai affected Port Beira in Mozambique.